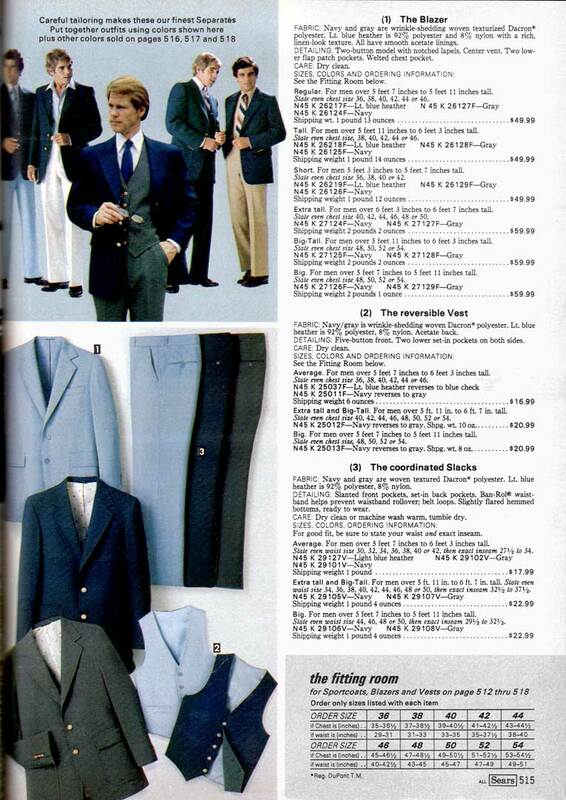 I don't know why, but this page looks to me like Sears has called on Clark Kent to model their 1980 menswear separates. Hmmm. OK, yes, definite resemblance. Christopher Reeve's Clark Kent is a bit nerdier, but it's there. Superman the Movie had just come out in the winter of 1978, and Superman 2 was in production, so it makes sense. Ya gotta love those giant glasses. 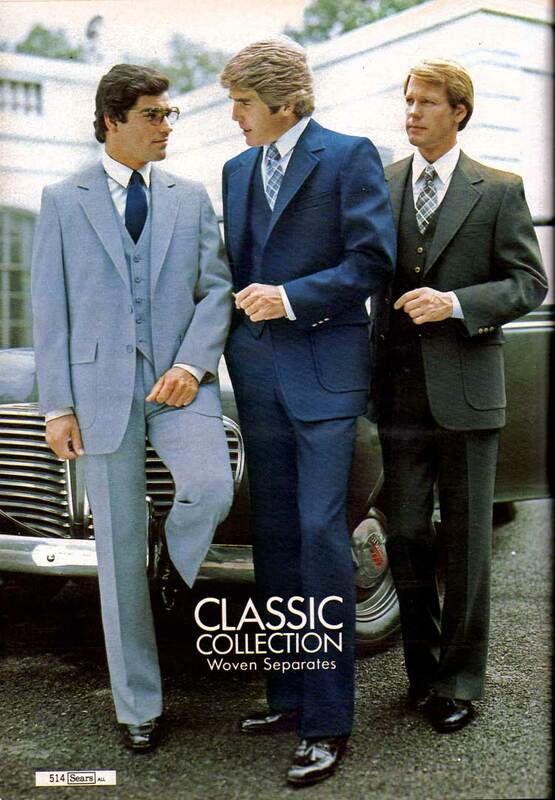 20th-century men's clothing in catalogs rarely sees the seismic shifts that women's fashions have. Blow-dried hair has replaced bowler hats, and celluloid collars are gone, but still your basic business suit of 1980 was cut from the same cloth as a suit from 1910. Like Clark Kent himself: earnest, slightly boring, a little square. Or as Sears put it, classic.